 We at The T-sign are responsible for your personal integrity. This data protection policy explains how we collect and use personal data. In order to offer you our services, we need to process your personal information as below. Our website is primarily used as a marketing and sales channel for new and existing customers. Depending on whether you make a purchase or not, different amounts of information are stored around your personal identity. - What information we collect and why. - How we use the information in question. - What choices you have, for example regarding access to and update of information. Through contact form and email, you as a website visitor fill in relevant information to enable us to complete the application to the T-sign or answer questions about our services. We work hard to protect our customers and visitors from unauthorized access, modification, disclosure or destruction of information we administer. • We encrypt our website with SSL. • We review our procedures for collecting, storing and processing data, including physical security measures, in order to protect against unauthorized access to systems. • We regularly discard old personal data that are no longer relevant, eg. pictures on the website. If you would like to contact us about your personal information, email us at: tony@wowreklambyra.se Right to access your data: You are entitled to request a copy of the information The T-sign has about you and verifying this information. You have the right to request the deletion of your personal data for cases where the data is no longer necessary for the purpose for which it was collected. However, there may be legal obligations that prevent us from immediately deleting parts of the data. These obligations may come from accounting and tax legislation. What we do then is to block the data we are required to save, from being used for purposes other than fulfilling such legal obligations.